James Jenkin is the chief executive officer of the Clinton Giustra Enterprise Partnership (CGEP), a social business builder that brings entrepreneurial solutions to global poverty. He joined CGEP in 2014 and previously held the role of chief operating officer. 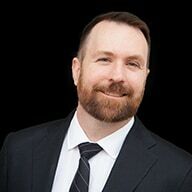 Jenkin began his career as an international corporate attorney practicing in Australia and Europe before deciding to apply his skills toward building businesses. For 15 years he played critical roles in building one the world’s leading Fortune 500 logistics companies, TNT Express. At the height of his corporate career, he successfully managed a $2.5 billion global strategic investment pipeline and developed innovative growth strategies creating market-leading positions for the company in several developing countries in Africa, Latin America and Asia. Passionate not only about building the company’s core business but also ensuring its sustainability, he additionally managed TNT’s corporate social responsibility (CSR) function across three continents for 5 years, helping cement TNT as a Dow Jones Sustainability Index Supersector Leader. This included Jenkin’s managing corporate giving of philanthropic programs. A firm believer in using business for social change, Jenkin was a co-founder of the North Star Alliance, a social enterprise providing basic health care to long-distance truck drivers and other hard-to-reach communities in Africa. From 2010 to 2014, Jenkin was the executive director of the long-standing New York nonprofit arts organization Printed Matter Inc.
Jenkin holds a combined Bachelor of Public Administration, Political Science, and Law with honors from the University of Tasmania. At first glance, value chain partnerships between corporations and small enterprises in developing markets appear to benefit both parties: Corporations gain financially while creating social and economic benefits for low-income communities. On closer inspection, however, these partnerships' results can vary. The Clinton Giustra Enterprise Partnership and Intellecap have learned lessons from serving as intermediaries in these relationships. James Jenkin and Lindsay Clinton address the most common questions from organizations hoping to build similar partnerships.